An individual spawning Gulf corvina, said the research team, utters a mating call resembling "a really loud machine gun", with multiple, rapid sound pulses. And when hundreds of thousands of fish get together to spawn once a year, "the collective chorus sounds like a crowd cheering at a stadium or perhaps a really loud beehive," study co-author Timothy Rowell from the University of San Diego told AFP. 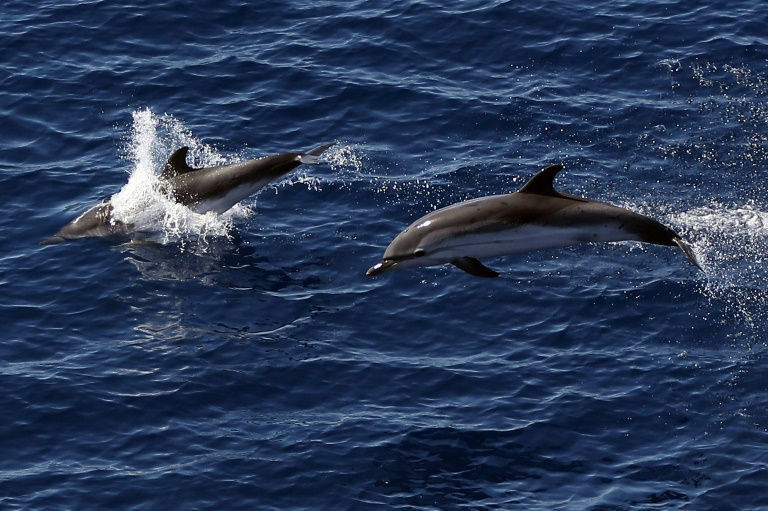 "The sound levels generated by chorusing is loud enough to cause at least temporary if not permanent hearing loss in marine mammals that were observed preying on the fish," he said. Rowell and colleague Brad Erisman of the University of Texas used specialised underwater sound gear to eavesdrop on spawning Gulf corvina, a popular eating fish. Each spring, all adults of the species migrate to a single site -- the Colorado River Delta in the northernmost part of Mexico's Gulf of California -- for what scientists call a "spawning aggregation" that can number into the low millions. The frenzy sees all the world's adult corvinas gathered in less than one percent of their usual home range for a few weeks. During this time, male corvinas emit calls that reverberate through the hulls of fishing boats, and can be heard even above water -- drawing in the fishers. A single boat with one net can harvest two tonnes of corvina -- which can grow to about a metre (3.3 feet) in length and weigh as much as 12 kilogrammes (26 pounds) -- within minutes, said the study authors. A fleet of some 500 boats nets as many as two million fish each spawning season, placing the species in peril. According to the International Union for the Conservation of Nature (IUCN), which keeps a Red List of species, the Gulf corvina is "vulnerable" to extinction. Earlier this year, Rowell and Erisman, with other experts, reported in the journal Scientific Reports that listening to the love calls of corvinas can help scientists keep track of their numbers for conservation purposes. The fish cannot be seen in the murky waters of the gulf, making them hard to count. But there is evidence that landed corvinas are getting smaller -- a sign of overfishing, which happens when fish of a particular species are caught faster than they can reproduce. Pursuing their research, Erisman and Rowell recorded the fish and said they were "a bit surprised by how loud the aggregation is". They took measurements in March and April 2014, when an estimated 1.5 million corvinas gathered to procreate. "These spawning events are among the loudest wildlife events found on planet Earth," Rowell told AFP by email. It is, furthermore, "the loudest sound ever recorded for a fish species." The frequencies of sound produced by the corvina fell within a range that could harm the hearing of seals, sea lions and dolphins, or even deafen them, the duo concluded. It was therefore "surprising" to see sea lions and dolphins feeding nearby. The spawning spectacle, added the researchers, deserves "increased appreciation and conservation". "A precautionary approach should be adopted by fisheries managers to ensure that this wildlife spectacle does not disappear," said Rowell.